Prepare yourself for the Fort Commando Elite City Fight where you will fight with dangerous soldiers in grand city and be a last commando surviving in battleground survival simulation. Get ready for the action and thrilling challenges missions in this city battle survival where you will save the vice city as well as innocent people from evil soldiers. In this game you have to choose your favorite fighter as a male soldier name is Captain Shawn and Female soldier name is Major Sara. So be ready to mobile battleground with city rivals as an alone fighter. 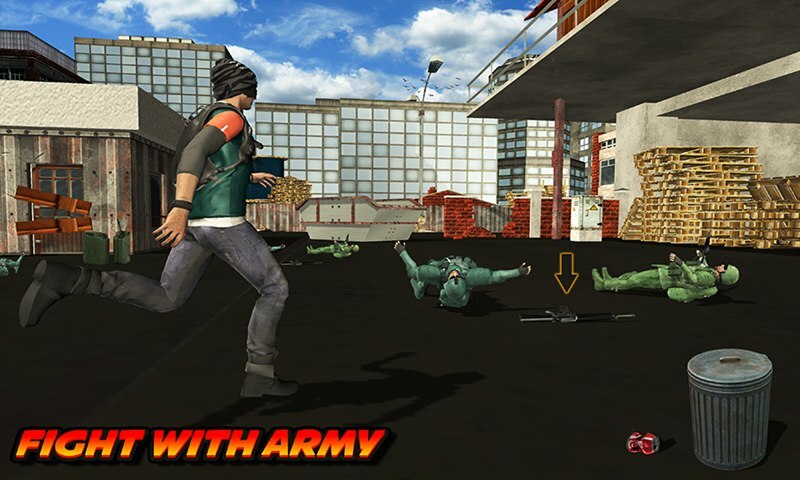 Enjoy 3rd person survival battle and roam freely in this Fort Commando Elite City Fight Simulator. You will show your shooting skills while hanging on the helicopter and enter in the under constructions building which is near to soldiers frontier with the help of parachute. It’s time for final city battle of elite shooter against the dangerous warriors. Enemy combatants are wandering in the grand city with classic weapons and freely hostage to the innocent civilians. You will find these evil soldiers and kill them all with powerful weapons like M32, MG4 DBS, Shotgun, M16, and Rocket Launcher. 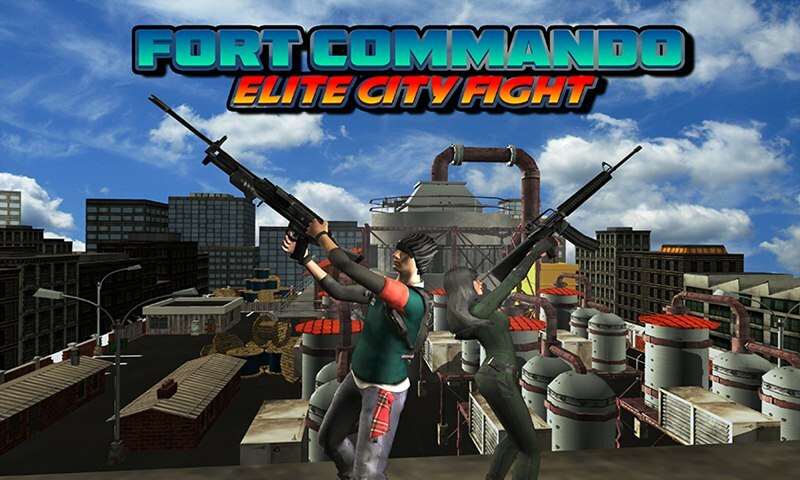 Fort Commando Elite City Fight is thrilling game with action gameplay where you play as Elite Commando Hero as well as Elite Commando Heroine and kill all enemy soldiers with the help of classic weapons in this city battle. City war has begun!! Fort Commando Elite battlefield survival combat mission took the thrill of elite commando shooting game on high preference. Use your elite commando skills as a silent killer to take charge of urban crime in combat mission of fort commando city battleground attack. You have to show your strategic mind tactics & talents. Just believe in yourself and never let any rival escape from this battleground as an aggressive smasher. Enter in the enemy soldier’s base camp and destroy barrel with the help of elected machine gun which comes in your way. 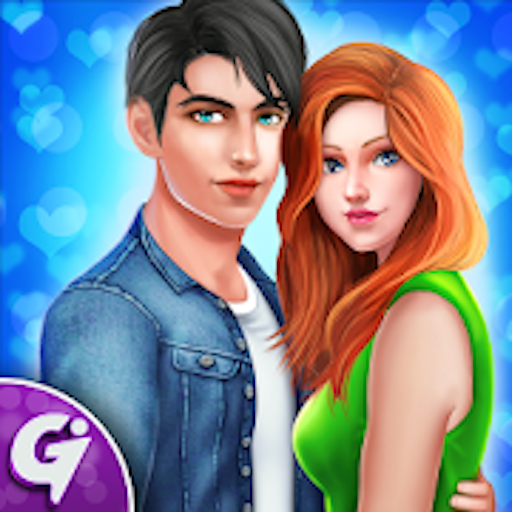 Kill the brutal gun shooting rivals in epic battle. Beat your enemies and change your weapons. Pickup new enemies weapons and destroy enemy helicopter. 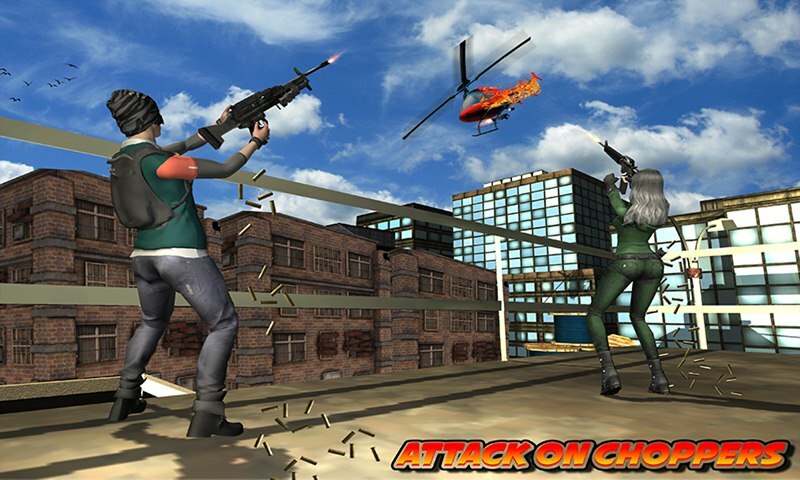 Take control of commando shooting mission in city fight of survival. You will gain the entire controls of this gameplay to achieve success in this combat. Expertly utilize your instant kill combatant hunting skills of third person shooting game and destroy all rivals hordes in the grand city. Hunt down all dangerous fighters & accomplish all city battle rescue missions. Fulfill your duty and step on the battlefield as you declare war against rival soldiers. Fort Commando Elite City Fight is specially designed for all 3rd person shooter game lovers. 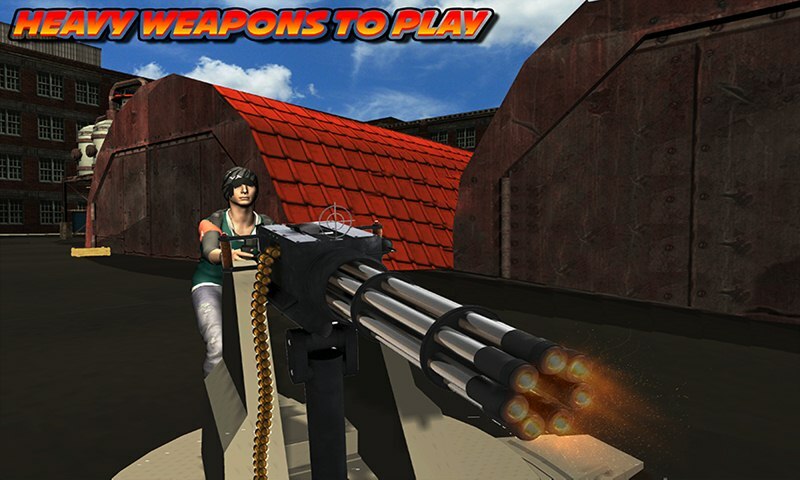 Enjoy the best action & thrill packed 3D shooting in this city fight survival mission. 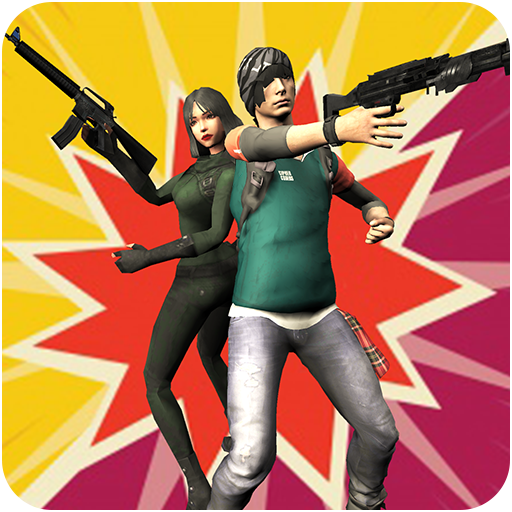 Use all your classic weaponry as an amazing shooter survivor. This is a new elite shooting game where you will survive with your rapid shooting skills. The intense shooting elite commando techniques and flying battle with the help of helicopter by playing action simulator. 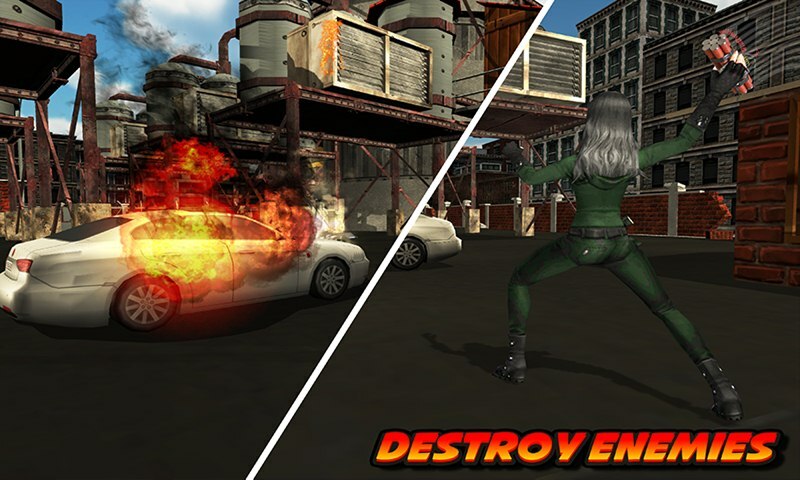 Show your fighting & shooting skills to destroy evil forces in the grand city.